Soybeans are a tremendously successful crop and a new study that traced the genetic changes in varieties over the last 80 years of soybean breeding found that increases in yield gains and an increased rate of gains over the years are largely due to the continual release of greater-yielding cultivars. Some are concerned that converging on optimal crops for each region might be a bad thing but plentiful food tells a different story. A multi-institutional team of researchers evaluated historic sets of 60 maturity group (MG) II, 59 MG III, and 49 MG IV soybean varieties, released from 1923 to 2008, in field trials conducted in 17 states and one Canadian province during 2010 to 2011. The experiments included plant introductions (PIs) and public cultivars obtained from the USDA Soybean Germplasm Collection housed at the National Soybean Research Center at the U of I, as well as from varieties provided by Monsanto, Pioneer, and Syngenta. In the process of documenting the genetic changes, the researchers observed an increase in yields over the past 80 years that is equivalent to one-third of a bushel per acre per year increase. 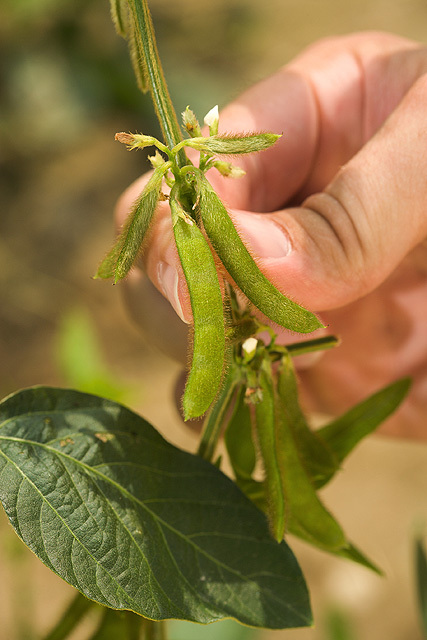 "This research in some ways looks back and informs us how soybean varieties have changed. It's useful to document these traits and changes," said Brian Diers, a University of Illinois plant breeder and co-author the study. "We can show that we really have been successful at increasing yield. The study has actually created quite a lot of interest among soybean breeders because they want to understand what's happened, and when we look at physiological traits, we can see what has been changed. This gives us clues about what traits we should focus on in breeding for future increases based what has been inadvertently changed over time as we have selected for yield." The researchers estimated that about two-thirds of the yield increases in farmer's fields are due to new varieties that breeders have introduced with the other third due to other reasons such as improved agronomic practices. "When we compare old varieties to new varieties, the new varieties do yield much better than the old varieties. When we look at the data more closely, the yield increases have actually accelerated starting in the 1960s and 1970s. It's different for each maturity group, but current yield increases are greater than they were earlier," Diers said. This research also showed that when compared to old varieties, plants in the new varieties are shorter in height, mature later, lodge less, and have seeds with less protein and greater oil concentration. "The new varieties tend to mature later within these maturity groups, which is something that theoretically shouldn't happen because we classify these varieties based on when they mature. So theoretically MG II varieties should mature at the same time now as one back in the 1970s, but this is not the case," Diers said. "Probably over time, people have been selecting varieties that are a little bit later and later, and these changes have accumulated. In some ways, it's not a bad thing, because farmers are planting earlier than they did back in the 1970s so they actually need varieties that will mature later than back then. That's not a bad thing." Other traits reported as changed over time included earlier flowering time, which has resulted in an expanded reproductive period. "We didn't know that this reproductive period was expanding, and we are now asking whether breeding for an even longer reproductive period could further increase yields. Other studies have looked at the interaction of planting date by year of release and have shown new varieties can utilize earlier planting dates better than old varieties," Diers said. With soybean being a leading source of protein and oil for human food, animal feed, and other products, global rates of yield increases for the crop will need to keep up with demand in the future. "By understanding how we've made these changes to date, it can help us understand how we can further improve yields and increase the rate of gain," Diers said. Diers plans to study ways to increase the rate of genetic gains using more modern breeding techniques. "Most of the yield increases are the result of breeders selecting better combinations of genes that can allow plants to take sunlight and produce more seed from that sunlight. We don't know what genes breeders are selecting that are resulting in these increases, for example, where in that pathway from the sunlight hitting the canopy to producing seed where this occurs. Breeders, by selecting new varieties that have more yield, are able to make this progress without really understanding the mechanism," Diers said.